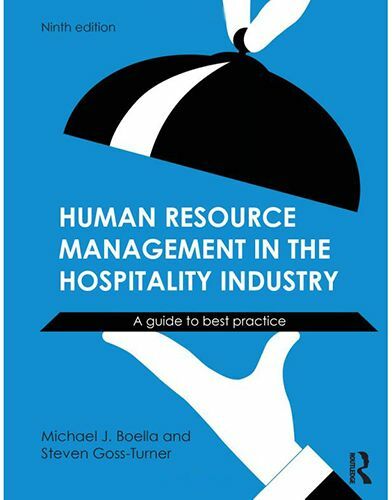 Now in its ninth edition, Human Resource Management in the Hospitality Industry: A Guide to Best Practice, is fully updated with new legal information, data, statistics and examples. Taking a process approach, it provides the reader with an essential understanding of the purpose, policies and processes concerned with managing an enterprises workforce within the current business and social environment. Since the eighth edition of this book there have been many important developments in this field and this ninth edition has been completely revised and updated in the following ways: Extensively updated content to reflect recent issues and trends including: labor markets and industry structure, impacts of IT and social media, growth of international multi unit brands, role of employer branding, talent management, equal opportunities and managing diversity. All explored specifically within the Hospitality Industry. The text explores key issues and shows real life applications of HRM in the Hospitality industry and is informed through the authors research projects within Mitchells & Butlers plc, Pizza Express, Marriott Hotels and Cafe Rouge. An extended case study drawing from the authors experience working with Forte and Co., Centre hotels, Choice Hotels and Bass, Price Waterhouse and Grant Thornton Written in a user friendly style and with strong support from the Institute of Hospitality, each chapter includes international examples, bulleted lists, guides to further reading and exercises to test knowledge.